The Internet convulses the way in which we organise and spread knowledge. The greatest library of all times is being created beneath our eyes, and is enriched every day with an astronomic quantity of new information. This library can be accessed and “read”… as well as “written” – to utilise I.T. terminology – by anyone. In this way, we can all take part in its construction, from the lowliest of Wikipedia contributors – x million definitions – to governments, institutions and libraries engaged in the enormous work of digitising our heritage, and even including the highly controversial publishers of Wikileaks. There’s no doubt that Alain Daniélou would have been enthusiastic about such an adventure… and would have taken part in it! It has consequently been a natural choice for the Alain Daniélou Study Centre. 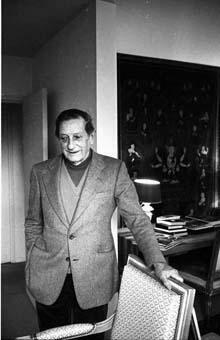 Works, interviews, articles, correspondence, records, music scores, paintings, water-colours, photos: we have started indexing, numbering, classifying and publishing on the Internet the abundant and many-facetted work of Alain Daniélou. Inner Traditions International, and on the other, with the French publishing house Fayard. On our own side, we shall shortly be making available on the Internet Daniélou’s work “Le symbole du Phallus”. Available in English, German and Japanese, with the French edition out of print, its great interest lies in showing the universality of the cult in time and space, and the rigid prudishness of monotheists with regard to this symbol. Lastly, we should not forget to point out the tribute by Christopher Gérard, published in the “Nouvelle Revue d’Histoire” — N° 51, November/December 2010 — excerpts of which are given in this newsletter. The Myths and Gods of India, The Classic Work on Hindu Polytheism from the Princeton Bollingen Series, Inner Traditions International, 1991, Foreword of the French edition. With many colors in his hidden purpose. Grant us a clear understanding. Greetings from Inner Traditions * Bear & Company! Please help to build our community by passing these links along — put them on your blog or website, tweet them, email them, or post them on your Facebook page. The more the merrier! A unique collection of unpublished photos from the Raymond Burnier and Alain Daniélou collection has been digitized to restore the unique experience of Santiniketan. Alliance française de Chittagong: 2 – 11mai, Alliance française de Dhaka: 14-21 mai. ICCR Azad Bhavan Gallery (Delhi): 27 mai – 1 juin. La Casa dellʼ India (Valaldolid) a confirmé pour le mois de septembre 2011. Rabindranath Tagore Centre (Kolkata) pour le mois de novembre 2011.
essential concepts of the Shaiva philosophy and its predilections. Clearly expressed in the ancient teaching, these concepts are in accord with, yet surpass, the boldest scientific speculations about consciousness, time, the nature of life and matter, and the history and destiny of the human race. Inherent in this body of knowledge is an understanding of the cycles of creation and destruction which, in conjunction with astronomical phases, determine the life span of the species. 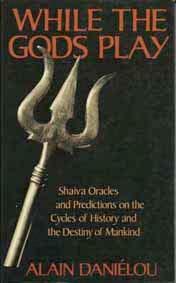 Since 1939, humankind has been in the twilight of the Kali Yuga age, or at the end of a cycle. The impending cataclysm, Daniélou explains, is brought on by our own errors, and its date will be determined by our present and future actions. While the Gods Play examines how the visionaries of ancient times defined our role in creation. It explains why and how we have abandoned this role, and reflects on what action can be taken to consciously and creatively influence our own destiny. Included are chapters on The Religion of Nature and The Religion of the City, The Transmigrant Body, Sexual Rites, the Castes, Sacrifice, Magical Powers, monastic Orders, and Forestalling the Final Day. 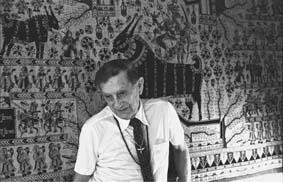 One of the most distinguished living orientalists and a friend of Stravinsky, Jean Cocteau and Nabokov, Daniélou spent more than 20 years in India studying music and philosophy. He wrote the acclaimed Gods of India and Shiva and Dionysus and produced a series of ethnic music recording for UNESCO. Formely director of the International Institute for Comparative Music Studies in Berlin and Venice, he is a Chevalier de la Légion d’Honneur, Chevalier des Arts et des Lettres, and Officier du Mérite National. 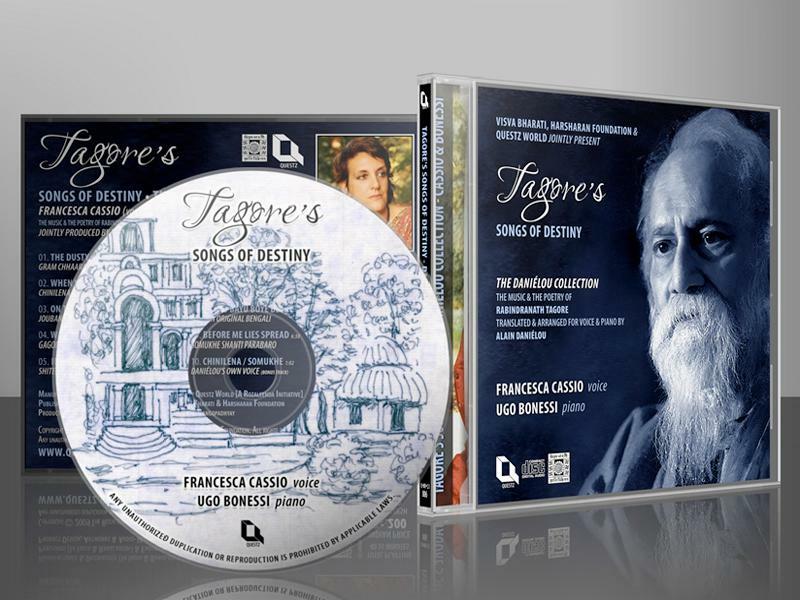 New Indian publication of the Tagore 18 songs-poems. Dhaka -23/12/2010 at The Italian Ambassy with a presentation by Prof. Anisuzzaman of Dhaka University. Dhake – 24/12/2010 at the Bengall Gallery of Fine Arts. As Professor Alain Danielou writes in his biography, Tagore requested him to transcribe some songs from the Rabindra Sangeet according to the western vogue of the time, for voice and piano. It was infact The Poet’s wish that some of his songs could be sung also in the West. It was an innovative concept that Tagore himself wanted to promote, and that up nowdays nobody has yet performed in this form. Alain Danielou worked over 50 years on this project. He translated into english and transcribed for piano only 18 songs, in a way that the original melodies -with their embellishments and peculiar raga movements- could be recognized, but with a piano harmonic accompaniment that could support and emphasize the meaning of the poetries. The work of Danielou shines mostly in the elegant piano arrangement, and in the beautiful translation into english (and french) that match with the melodies as well as with the meaning. The blending of the musical Indian language with the western notation, and harmony, requires skills in both discipline, and for this reason for long time these song have never been performed. 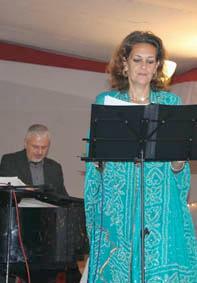 Due a professional training in both Classical Western and Hindusthani vocal music, in 2007 Dr. Francesca Casio and Maestro Ugo Bonessi have been in charge on the behalf of the Danielou Foundation to perform and record -for the first time- the cycle of the 18 songs of Tagore transcribed by Alain Danielou.